I am so excited as Slide The City 2017 is coming back to Klang Valley. This round, the event makes waves again in Setia Alam with the famous gigantic Slip n Slide. 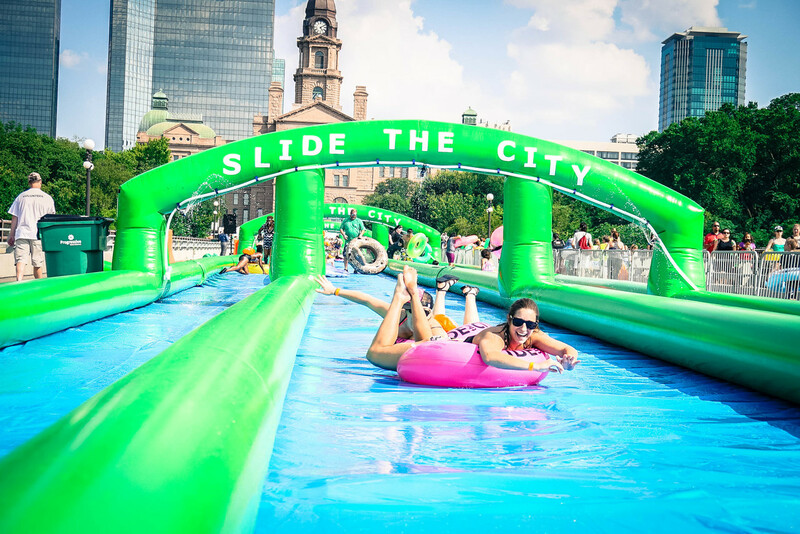 Slide the City is a global phenomenon that brings a gigantic slip n’ slide onto city streets and has invaded major cities such as United States, Columbia, Canada, United Kingdom, Korea, Japan, Brunei, Hong Kong, Macau, China, Taiwan and many more. Monkey Theory Sdn. Bhd. first brought the iconic slide to Malaysia in December 2015 and has since travelled across Malaysia and landed in states such as Penang, Melaka, Kuantan and Johor Bahru. Check out the video. “We heard what our fans had to say and we are now extending the sliding days from only one weekend to a month long event! We want everyone to have the opportunity to experience the slide at least once in their lives! 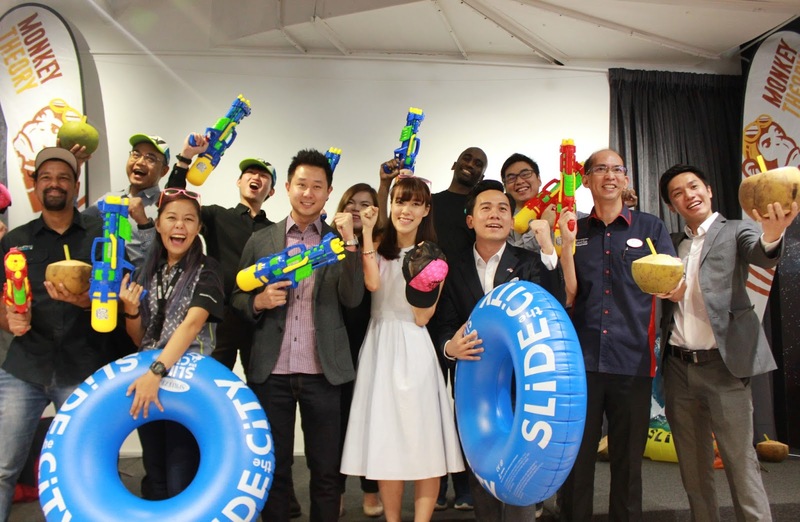 So, just put on your sunscreens and grab your best summer outfit and speed down this gigantic slip n’ slide for a family fun day in the sun” said Mr Leong Delon, Founder and Chief Executive Officer of Monkey Theory Sdn. Bhd., the organizers of Slide the City Malaysia. 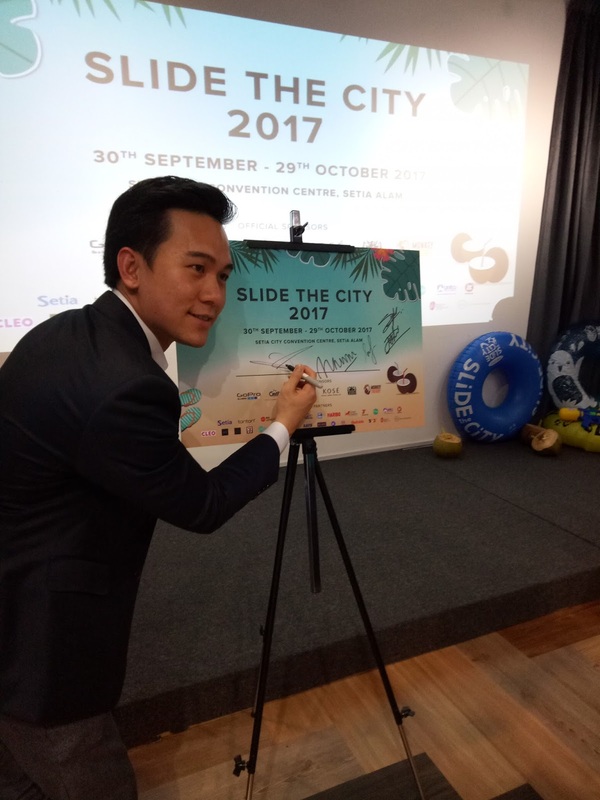 Slide the City 2017 also targeted a portion of sales will be contributed to National Kidney Foundation of Malaysia (NKF Malaysia) in support patient that suffer kidney disease. At the same time, Slide the City Malaysia aim to raise awareness regarding obesity and engaging a healthy lifestyle. More fun activities will bring to you such as live music and carnival games such as the Rodeo Bull, Dunking game, Bungee run and Gladiator Joust. And over than 15 food trucks will presence at the event. “Slide the City is also proud to partner with Wahoo Events for their Shark Savers campaign. This is a dear cause to us as we pledge to say NO to the consumption of shark fins. As organisers of Slide the City, not only are we committed to this campaign, we are also firm believers that as responsible citizens of the world, we should do our part in helping spread awareness to preserve our natural resources for future generations. In relation to this, we would also like to encourage everyone to pledge for this cause and say NO to shark fins and any shark related products sold in the market.” Delon continues. Slide the city proudly presented their official partner / sponsors such as Glinter, GoPro, Pico Design, Kose (Malaysia) and Warrior as the Official Sponsors and S P Setia, Haribo, UBER, tonton, Cleo, Wahoo Events, Great Eastern, AirAsia Big, ROKKI, Fitness First, 7-Eleven, National Kidney Foundation Malaysia, LAC Printing and Packaging, Chili Pang Pang, Tantannews, GO Communications, Anita Souvenirs, TV3, 8TV, SAYS, OhBulan, Sirap Limau, Klips and Studio8 (Quickie) as Official Partners. The event is also supported by Tourism Selangor. Regular and VIP tickets each are priced from as low as RM29 and RM86. Tickets can also be bought online at www.slidethecity.asia and onsite on event day. 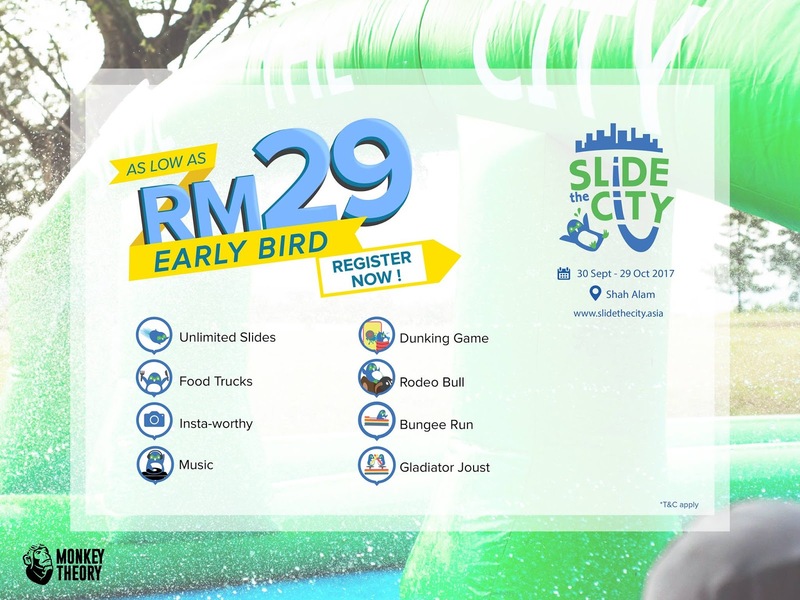 They will also be available at selected 7-Eleven stores in Penang Island, Selangor and within the Klang Valley starting from the 3rd week of September 2017 onwards.For more information on Slide the City Malaysia, visit the official Facebook page at http://www.facebook.com/slidethecitymalaysia/.